You can be proud of the new smile you’ve always dreamed of! Today, 25% of all orthodontic cases in America are adult patients (defined by the “non growing” definition). 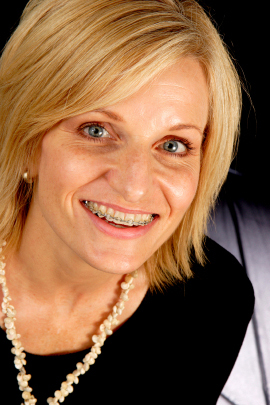 More adults are getting braces than ever before. Many adults inquire about orthodontic treatment to improve their appearances, dental hygiene, health of their gums, and reduce headaches and jaw joint pain. You had braces when you were younger and want to correct your teeth that shifted from not wearing retainers. Orthodontics was not affordable in your family when you were younger. You have misaligned jaws which is causing pain or clicking in your jaw joints, headaches, or problems chewing, swallowing, or talking. You hope to correct your bite and fix functional problems before they get worse. 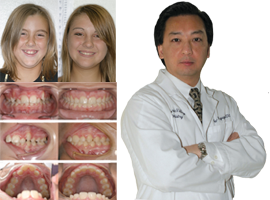 You refused to wear braces in your formidable teenage years, but are now ready to take your smile to the next level. 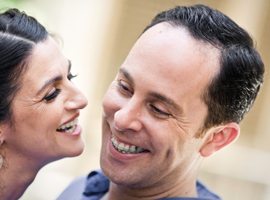 You have always wanted to transform your smile, and are ready to invest yourself for a healthier, more confident smile. Although dentists cannot use growth to their advantage to treat certain skeletal malocclusions, the lack of growth is not really a limitation to treatment results for more common dental corrections. With a fresh, full smile, you too can see dramatic results. Because adults have fully mature jaws, treatment time may take slightly longer than that in adolescents. Individual variance in tooth movement is common. Your doctor will likely know after 2-3 months how fast your individual teeth will move. The full IP Appliance® system on your treatment will help you obtain the most clinically efficient and rapid treatment time. Although metal braces are the most efficient, your dentist can often offer cosmetic brackets, for a higher fee and longer treatment time. Braces can fit your lifestyle, whichever you decide.